Some of you want to know if Tanaza supports repeaters and extenders and if the access points can be used in the repeater mode. We would like to give you an objective overview about using APs in repeater mode, repeaters and extenders within your networks. Let’s start from wireless extenders. They are also called Range Extenders (these are the Netgear ones and these are the TP Link extenders), as they capture your signal and they retransmit it from their radio, extending Wi-Fi coverage. They usually broadcast a new SSID. Even if you configure the new SSID to be like the root one, your connection can drop when you move from the access point to the extender. If you set the same channel both on the access point and the extender, intereference will happen. 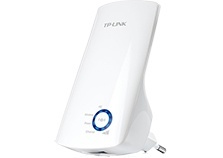 Wireless repeaters are very similar to extenders but they don’t create a new SSID. They simply capture signal without being connected with a cable to a router, and they retransmit it wirelessly. Roaming between the access point and the repeater happens without any interruption. Some access points can be configure in “repeater mode”. However, using repeaters (or access points in the repeater mode) is not a best practice, as it essentially halves your bandwidth, because the same radio is used to communicate both with the clients and the AP. Wireless access points are connected to the Internet through a wire. The Wi-Fi goes directly to the access point. If cabling is not an issue, using two access points set on non-overlapping channels, with the same SSID, is the best way to improve performances and is beneficial to extend the wireless network coverage. This configuration allows you to use Tanaza Roaming, the technology for uninterrupted connectivity when moving within the location, that works only if coverage is made through Tanaza Powered access points. – if you can cable, add more Tanaza Powered access points (depending on your venue, you may need ceiling or pole-mountable APs, with PoE, with directional or omni-directional antennas… do not worry we have a supported device that works for you). – if you cannot cable, you can create a Point-to-point wireless bridge. – if you cannot cable, you can use Powerline devices.